I make risotto relatively frequently, but I usually stick to a basic mushroom and chicken risotto. But earlier this fall during corn season, I bought and froze some extra corn. So when I came across this recipe, I thought it would be perfect to use up some of that corn. 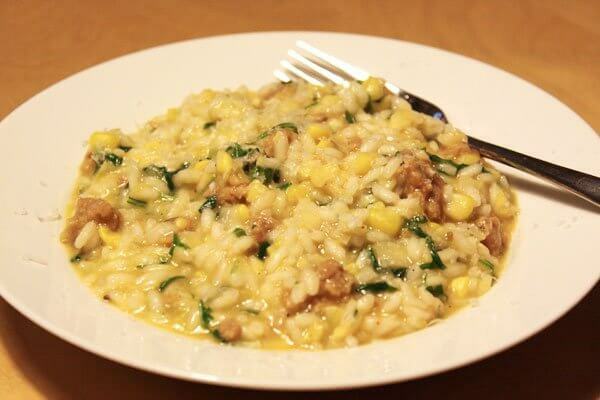 The corn and arugula definitely bring a freshness to this risotto that many other recipes do not. Between the veggies and the sausage in this risotto, it makes a perfect starter or a complete meal.